In this inaugural episode I’m going to tell you about my own journey to podcasting. I am Gordon Firemark. I have background as an audio technician in theatre, and then in TV production before I became an attorney. I first got the bug to work on live theatre in 7th grade, when I was invited by our school Principal to run the sound for a school variety show. And that what makes me interested in microphones, mixing boards and sound effects. That’s a background that I bring to this podcasting but honestly, it isn’t necessary that podcasters have that set of skills. This is something that anyone who listens to the radio, or any spoken word kind of material will be able to hang on very quickly. Anyway, I began my life as a “sound guy” — sound, lighting, and live theatre. And later in College, I became a major in Radio, Television, and Film. After stints in theatre, journalism, and fine art photography, I ended up doing television production. During my senior year in College, I discovered an aptitude for the legal and regulatory and management side of the television and film businesses. And so, I was encouraged by my professors to consider law school. I didn't go right away, but eventually the Writer's Guild went on strike, and work in film and TV was scarce. So, I attended Southwestern School of Law and I graduated in the Spring in 1992 along with massive class of lawyers that been seduced to by the television show “L.A. Law”. After Law School, I did manage to find a position in a small entertainment litigation boutique. And then shortly thereafter, in the winter of 1993, I went out on my own as a solo. I’ve been practicing transactional la in the fields of theatre, film, television, and new media ever since. I started podcasting around 2005 or 2006 . I was invited by a gentleman who was doing a show targeted at professional videographers, to do a question and answer series with him on his show. And that evolved into a regular show called “The Law and Video”, in which we fielded listeners questions about legal topics related to production and distribution of media content specifically in videos. I was the guest expert and this other fellow did all the production. Eventually, he decided not to continue with the question and answer series, so I decided to do it myself. In 2008, I launch my own show called “Entertainment Law Update”. 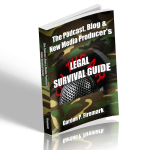 And in 2010, I wrote a book called “The Podcast Blog, and New Media Producer’s Legal Survival Guide”. Since then, as a new media lawyer, I've also had the great pleasure to have helped a number of well-known podcasters and podcasting networks to launch, mostly from the business and legal side. So, How did I start doing my own show? I listened to some other podcasts to get some ideas and I also did research and read articles from the internet. And the background that I have in production helped me to figure out a workflow. I bought some equipment. It was pretty expensive at that time, but today that is no longer an issue since there are now great and affordable products out there that make podcasting accessible and easy. I also read a bunch of podcasting books. And I also listened to other well-known podcasting gurus. How to Podcast Podcast's from Cliff Ravenscraft, The Podcast Answerman, and another one, by Daniel J. Lewis who has a show called “The Audacity to Podcast”. Those two were sort of where I got a lot of my early instructions in how to set up things and make it work. So what I did then is I sought out a co-host. I wanted to have a co-host because I wanted a back and forth, give and take, and a multiple personality, flavor to things. So I posted on Twitter asking if anyone could recommend a co-host. And I got several recommendations for a woman named Tamara Bennett. 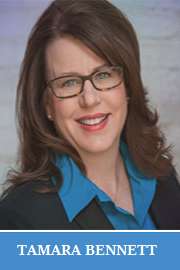 Tamara is a music lawyer in the Dallas/Fort Worth area of Texas. I made contact with her and invited her to join in as my co-host. The way we decided to do our podcast way back 2008 was to offer CLE credit in California and in Texas, at least to our listeners to side up and pay us small fee for the credit. We offered CLE credit for our first three years but then the return of investment wasn’t making sense. So through all this experience, I've developed a few keys to success in podcasting. And that’s what I want to share with our listeners. Podcasting isn’t that hard, but it’s a little bit technical and so following a recipe or checklist is really the key. I have actually created a course that lays out a step by step plan of action that will get you up and running with the podcast. The keys to podcasting to success really are consistency and frequency. The workflow of Entertainment Law Update is a pretty good model. We plan and produce the show over the course of each week and then round it all at the end of the month and turn it into an outline for the show. Each week we read blogs and news everyday and then we flag stories that we want to include… and then we ask our interns to brief the cases and stories, schedule a Skype call when we get together and record the show. The way that I've developed for doing a show and the one that I teach is one that involves very little editing or post-production. We sweeten up the sound a little bit, give it a little more punch, give it a little more balance and then we post the episode, publish our show notes on the website and up it goes. And that’s the Entertainment Law Update podcast. And I also have a couple of other shows that I’ve done. One is called “Entertainment Industry Insights” in which I interview leaders in the field of entertainment. The results that I have achieved by doing my these shows have been really tremendous. They have essentially positioned me as an authority in the field of entertainment law. It has given me a great deal of visibility. It forces me to stay up on current cases and developments and that’s made me a better lawyer. Plus, it gives me an excuse to connect with guests and experts.And finally, although my show isn’t totally targeted at prospective clients, the fact is that my clients often do listen before they will initiate a contact with me. For me, it’s been tremendously satisfying, tremendously rewarding, and it’s been a real marketing booster. So I want to share the wealth and teach other lawyers how they can use podcasting as a tool. So are you thinking about starting a podcast? Do you already have a show? If so, I’d like you to join me in my show and share your experiences. Do you have questions about this medium? 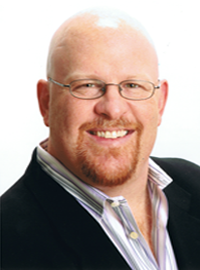 It is extremely powerful so i want to encourage lawyers to adopt this as a tool to communicate with clients, prospects and referrals. So please contact me and share your thoughts, experiences, and questions. The website is lawpodcaster.com And we also developed that course that i have mentioned. It is at is at lawpodcasting.com. And if you head over to lawpodcasting.com right now, you can get a free copy of the lawpodcasters resources guide that I've assembled. And that will also add you to my mailing list so when we launch the power podcasting for lawyers course, you’ll be on the VIP, early bird notification list.